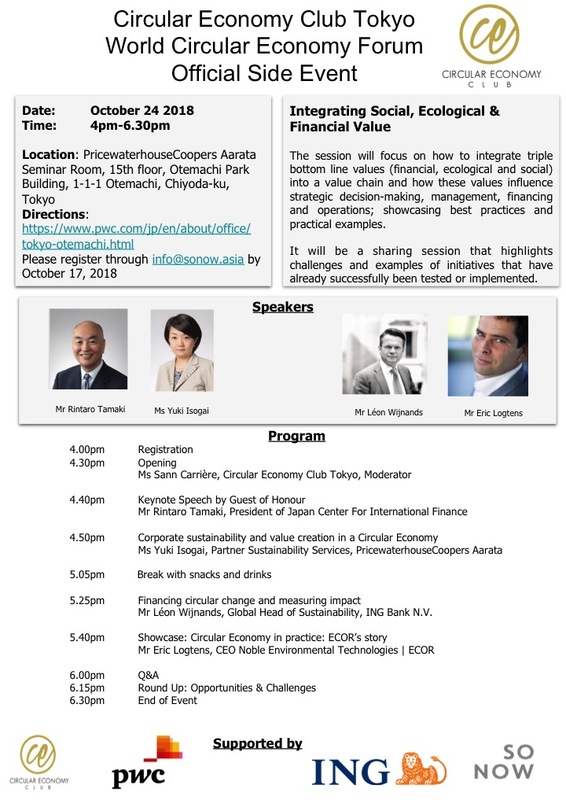 Organisers: Circular Economy Club Tokyo, co-hosted by So Now Asia Pte. Ltd. Description: The open session will focus on how to integrate triple bottom line values (financial, ecological and social) into a value chain and how these values influence strategic decision-making, management, financing and operations; showcasing best practices and practical examples from Japan and The Netherlands. See the full programme of the Side Event here.